“There has been a marked increase in the number of new properties coming to the market in early 2019 versus the same period in 2018. This is most likely due to some of the heat coming out of the market in some parts of Scotland that had become a little overheated in previous years, creating a more comfortable environment for property buyers. 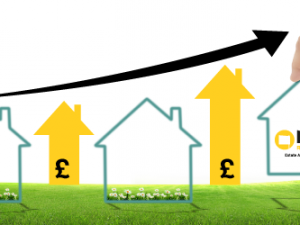 “The news and stats from March indicate that property prices continue to rise. However, certain areas of Scotland, particularly around Edinburgh, have definitely cooled a little. This is nothing to be concerned about and, quite the opposite, it is likely to be good for the market overall. “The average percentage being achieved over Home Report valuation has reduced and the length of time to sell has risen a little bit. “Last year’s market conditions were quite demoralising for property buyers, however the current conditions are healthier. When people are more confident that they will be able to secure a new property, they are more likely to put their own properties on the market. This gets the market moving properly again. The latest publication of the monthly UK House Price Index shows that the average price of a property in Scotland in January 2019 was £149,036 – an increase of 1.3% on January in the previous year and an increase of 0.6% when compared to the previous month. This compares to a UK average of £228,147, which was an increase of 1.7% on January in the previous year and a decrease of 0.8% when compared to the previous month. 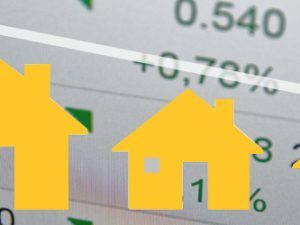 “Average prices in Scotland continued their upward trend in January with an increase of 1.3% when compared to January 2018. The average price has increased each month since March 2016, when compared with the same month of the previous year. Over the past three months (December 2018 to February 2019) the number of homes coming to market across east central Scotland increased by 12.3% year-on-year, according to the ESPC. Within Edinburgh there has been an 8.6% increase compared to last year. There has also been an increase in sales volume – across east central Scotland, the number of properties sold during this three month period increased by 6.1% compared to last year and within Edinburgh, there was a 4.4% increase in sales volume. Between December 2018 and February 2019, the average selling price of properties in east central Scotland rose by 4.2% to £238,169 compared £228,602 last year. In Edinburgh, the average selling price rose by 4.4% to £257,478. From December 2018 to February 2019, the median time to sell across east central Scotland was 27 days, which was five days slower than last year. Within Edinburgh, this figure was 25 days, which was also five days slower than last year. While median selling times have been steadily increasing over the past several months, this is the most significant year-on-year increase that has been seen in recent months. Longer selling times could be a result of an increasing number of properties coming to market in recent months, so buyers are facing less competition than they were previously. “The past three months have shown a reasonable increase in the median selling time of properties across east central Scotland. This could be due to the increase in the number of properties coming to market in recent months, which may have resulted in less competition between buyers for homes in the area. The number of first-time buyers in Scotland reached 34,519 in 2018, an increase of 56% from 22,100 a decade ago, according to the latest Bank of Scotland First-Time Buyer Review. First-time buyers account for 50% of all house purchases with a mortgage in Scotland, up from 37% in 2008. 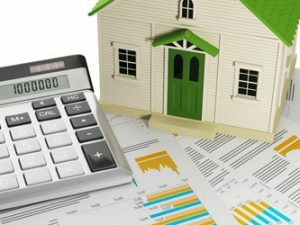 Bank of Scotland data revealed that the average price paid for a typical first home has gone up 19% from £119,402 in 2008 to £141,671 in 2018, while the average deposit has increased by 11% over the same period, from £17,910 to £19,952. In the last 12 months, the number of first-time buyers in Scotland dipped slightly from a peak of 35,100 in 2017 – the highest over the decade. The lowest number of first-time buyers in Scotland in the last decade was 16,700 in 2011. The average deposit put down by a first-time buyer in Scotland was 15% of the purchase price in 2008, jumping dramatically to 25% in 2009. In 2018, the average deposit has dropped to 14% of the purchase price, although the average property price has continued to increase. The £19,952 average deposit being put down on a first home in Scotland is just over half of the UK-wide average of £33,352, although those in Wales are paying the lowest average deposit (£16,701). Ricky Diggins, Director, Bank of Scotland, said: “There has been steady growth of new buyers coming on to the property ladder in Scotland over the last decade, with the proportion of first-time buyers now representing half of the overall market. This is important for the wellbeing of the Scottish property market, and has been helped by factors such as continued low mortgage rates. The review shows that the most affordable local authority district in Scotland is East Ayrshire where the average price paid for a first home is £94,376, three times the local gross average annual earnings, closely followed by Inverclyde and South Ayrshire. The least affordable local authority district in Scotland is Midlothian with an average property price of £168,898 – 5.3 times the average gross annual earnings. The highest average price for those taking their first step on the property ladder is in Edinburgh, where at £196,091, it is 4.8 times the average gross annual earnings.